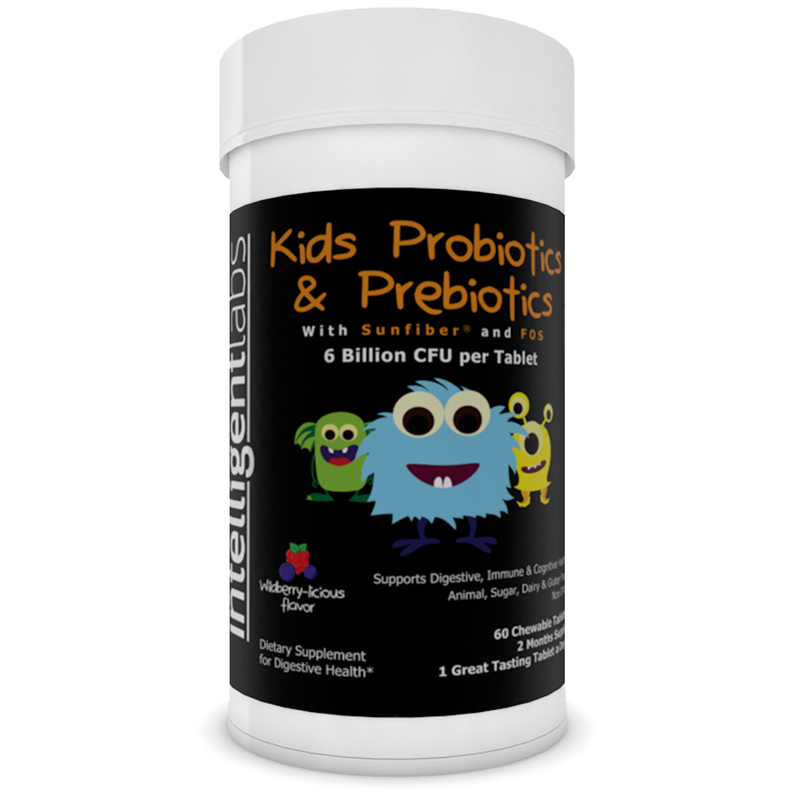 Want the Best Children’s / Kids Probiotic with Prebiotics? Click Here Now! Great Taste kids love and chewable, so very easy to take! Minimum 6 Billion CFU per tablet. Strongest and most effective kids probiotic. Each capsule also contains the prebiotics Sunfiber® & FOS. Prebiotics are non-digestible fibres that act as food for probiotics that are essential to ensure the probiotics successfully reproduce in the gut. Non GMO, Soy, Wheat, Dairy, Egg, Animal and Magnesium Stearate free. 60 days supply per bottle, 1 tablet per day. Love it or 100% money back guarantee. All Intelligent Labs probiotic strains are specifically chosen for their stability and unique health-giving properties for your child. We don’t just manufacture probiotics at 6 billion CFU per capsule, we guarantee our capsules will stay at a minimum of 6 billion CFU for their entire lifespan, most other brands start to lose strength right after manufacture, and by their expiry are only a fraction of the advertised strength. When your order today you are also backed by our love it or 100% money back guarantee. If you don’t love our Probiotics simply return it for a full refund. We completely believe in our products because they work, and to prove that we remove any risk on your behalf! 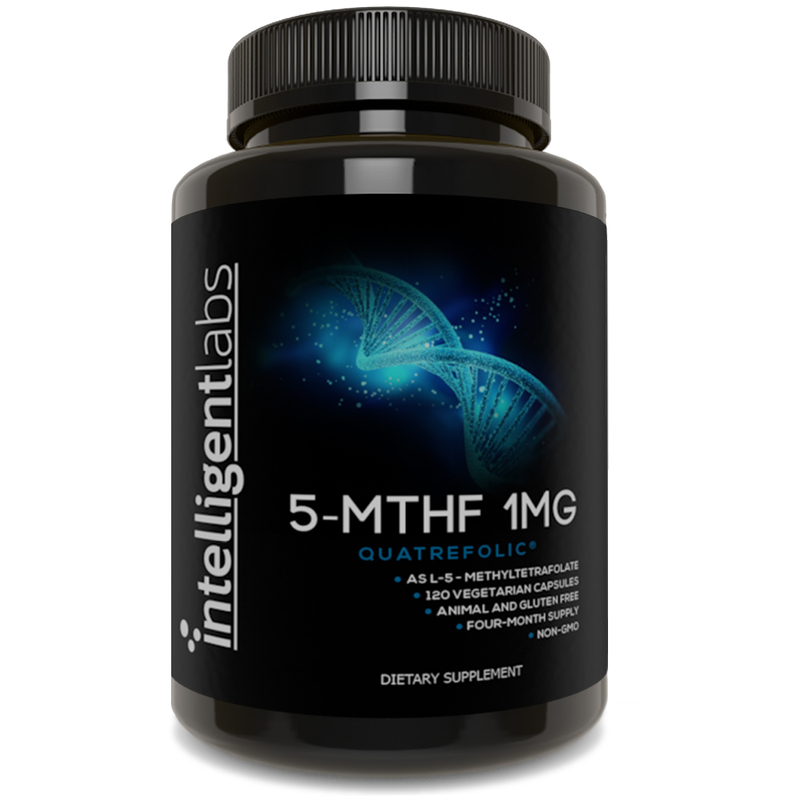 We have the 3rd party, independent, lab testing reports publicly available, showing the strength and purity of our product. Why Intelligent Lab Probiotics are Different ? Probiotics will degrade whenever they are exposed to moisture and oxygen. This means that most brands of probiotic are significantly weaker by the time you take them, compared to when they were manufactured. We control the exposure of our probiotics to moisture and water by using a uniquely engineered Activ-Polymer™ bottle which features an impenetrable desiccant sleeve wrapped around the probiotic so they are virtually moisture free. We also use an Oxyfree® desiccant to absorb any oxygen and remove any residual moisture from inside the bottle, meaning we can reduce oxygen levels to 0.01% for the entire lifespan of the product. 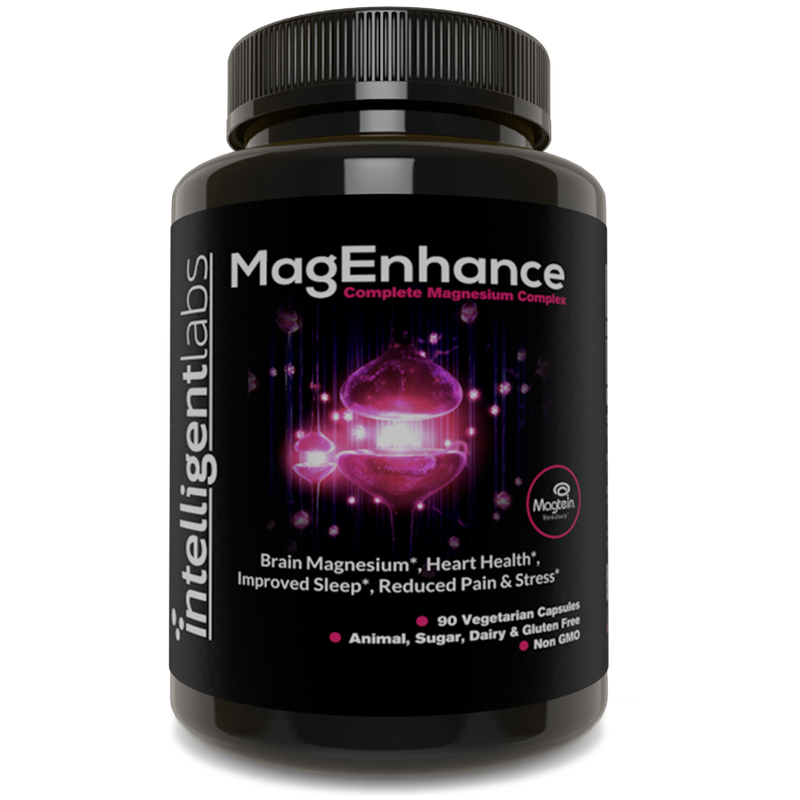 Each Intelligent Labs Probiotic capsule contains the prebiotics Sunfiber® & FOS. Prebiotics are non-digestible fibres that act as food for probiotics. When Probiotics are manufactured they are in a freeze-dried state, which means they are effectively asleep. However, even the slightest exposure to light, heat, moisture or air can cause some of the probiotics to wake up. When they wake up they’re hungry and need food, and without a food source they will die. So, it’s vital to choose a probiotic brand that includes prebiotics. Probiotics are exposed to acid and bile as they go through the digestive system on their journey to reach the large intestine. Both acid and bile can kill off probiotics, but we specifically choose strains that can survive these conditions to ensure all our probiotics reach your child’s gut alive, where they can begin to do their good work. The gut micro biome has a connection with the skin and can influence a range a skin conditions including Rosacea, Eczema and Acne. The gut-brain axis, or the connection between the gut and the brain is well established in scientific literature. Improving the gut micro biome can have a positive effect on a range of mood disorders. Probiotics can boost your child’s immune function and help them in fighting off infections, and in growing strong and healthy. Probiotics are helpful for diarrhoea, stomach upsets and other GI conditions. It’s also important to get the gut right as early in life as possible to help prevent the development of virtually all chronic health problems later in life. Child obesity is an ever increasing problem. Whilst probiotics should not be seen as the only measure in combatting weight gain, increasing good bacteria can affect weight loss efforts by reducing food cravings. Also when there is an overgrowth of ’bad’ bacteria in the gut, these bad bacteria more completely digest the food that your child eats, which means your child ends up absorbing a higher proportion of the calories they consume. Child diabetes is reaching epic proportions, however studies have shown that probiotics can delay the onset of glucose intolerance and help to increase insulin sensitivity. When is the best time for my child/children to take their Probiotics? They can take them at any time, however we generally recommend taking them with a meal, ideally breakfast in the morning. The reason is food will lower the acidity of the stomach, (i.e raise stomach PH), so it is more beneficial for the bacteria. Although our probiotic strains are specifically selected for resistance to stomach acids, every little bit helps. Where is the best place to store the Probiotics? Our Probiotics have specifically selected strains, so they don’t need to be refrigerated. However, we recommend storing them in a cool dry place. Will my child experience gas, bloating or diarrhoea? A little gas or bloating is the most common side effect when taking probiotics in both adults and children. If it does happen it will normally happen in the first few days after they start taking the probiotic. It’s important to understand that this is the body’s natural response, and it’s actually nothing to worry about and usually passes in a few days. The reasons it often occurs is because the gut bacteria is rebalancing itself. Probiotic bacteria are active against yeast, harmful bacteria and fungi, and when they take probiotics harmful microorganisms will start to die. This is what can cause these issues to temporarily increase. It’s actually a sign that the beneficial bacteria are getting to work and helping their gut! My child is on Antibiotics, can they take Probiotics? Yes, your child can take probiotics with antibiotics, studies suggest it’s favourable to do so, and helps them to recover more quickly after they finished the course of antibiotics. However, we recommend that you make sure they take their probiotics and antibiotics at least 2 hours apart to reduce the possibility of the antibiotic killing the probiotic organisms. Some Probiotics supplements are cheap, whilst others are expensive. How do I know which supplement offers the best value for money? The key is looking at the strength or Colony Forming Unit’s (CFU). It’s also important to understand how many of those CFU’s will still be alive in the capsule by the time you take it. We over-manufacture our probiotics and use Active Packaging Technology and prebiotics to ensure the strength that is on the bottle is the strength you get in your gut. Many other manufacturers will offer probiotics that will be significantly less powerful by the time you take them, than when they are manufactured.